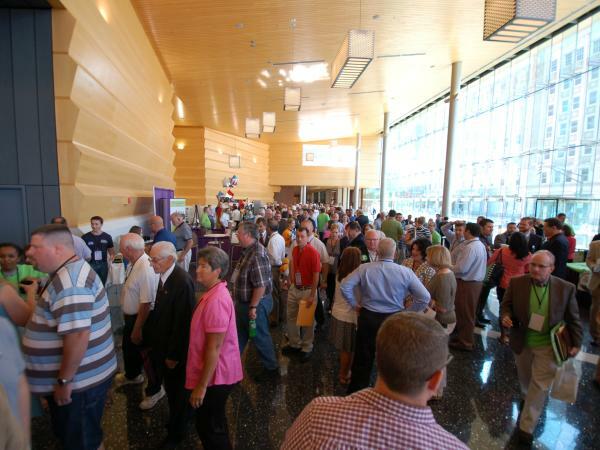 Grand Wayne Convention Center: Improvements and Accolades! Recognized as one the Midwest’s premier event venues, downtown Fort Wayne’s Grand Wayne Convention Center continues its commitment to raising the standards — and the expectations — for event planners seeking a destination with a difference. An enthusiastic expansion in 2006 broadened the facility to its current 225,000 sf of space, adding a 50,000 sf Convention Hall, multiple dock bays, expanded in-house services, and allowing planners to utilize up to 18 meeting rooms with a fresh, intuitive floor plan to maximize event management. In 2009, the catalytic momentum introduced further development with neighboring Parkview Field, a multi-purpose sports and entertainment venue and the addition of another full service hotel with garage parking to accommodate downtown Fort Wayne guests. 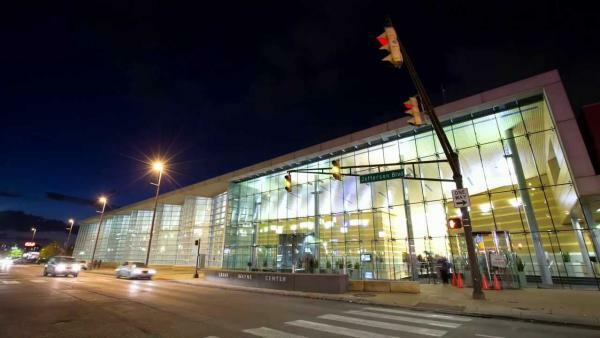 In 2011, the State of Indiana recognizes GWCC’s event hosts as exemplary and true representatives of the state’s famed Hoosier Hospitality— a free service unique to Grand Wayne Convention Center and virtually unheard of in comparable (or even larger) venues or cities. The addition of an in-house guest experience manager, providing complimentary add-on services to further enhance the event planner’s capabilities and the guests’ overall enjoyment. Sensory Kits for guests in need of accessories to aid in their event participation. Free high-performance WiFi handling up to 5,000 users seamlessly and simultaneously. Fully re-carpeted Convention Hall and meeting rooms, saving thousands in rental and installation fees. New “mini-meeting” lounge furniture and recharging stations for added guest comfort and convenience. Most recently, new LED, fully customizable overhead lighting for brighter, more even, more pleasing event coverage and remarkable energy savings. 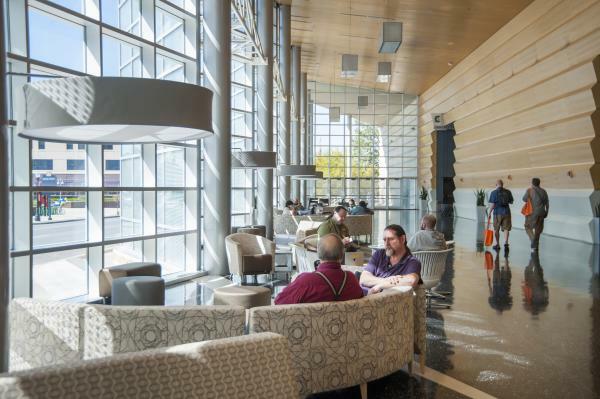 On average, Grand Wayne Convention Center welcomes about 320 meetings and events each year — and boasts a nearly 80 percent re-booking rate among its long and growing list of state, regional, national, and even international clients. Aside from the personal testimonials of seasoned and novice event planners and guests, Grand Wayne Convention Center is earning repeated accolades from its peers. The Indiana Society of Association Executives has twice awarded the Center with top honors as a “supplier of the year” and national corporate and nonprofit organizations such as the North American SCRABBLE Players Association continue sharing and using their “Grand Wayne experience” as the benchmark for future meetings and events. With a full staff of in-house professionals — sales and event managers, AV techs, gourmet catering and service, and 24/7 house management — Grand Wayne Convention Center is primed to welcome friendly faces and fresh ideas into Fort Wayne, Indiana’s flourishing, vibrant downtown. 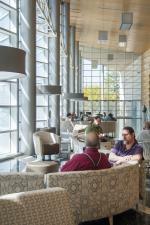 For an inside look, visit grandwayne.com — or for the inside scoop, call 260.426.4100. Grand Wayne Convention Center encompasses two city blocks of luxuriously appointed convention and meeting space with sleek styling and attention to detail in every inch. The Center’s well-deserved reputation for incomparable service and exceptional amenities is a primary reason that nearly 80% of Grand Wayne Convention Center’s events are based on repeat business. Here, planners can capably create and manage events with the support of a full staff and in-house services. Attentive sales associates; detail-focused, creative event managers; amazing AV technicians; efficient, professional set-up and change-over crews; in-house guest experience manager; and award-winning hosts are always ready to assist in each event’s success. For a virtual tour, visit us online at grandwayne.com or call the Grand Wayne sales team for a personal consultation at 260-426-4100.